Welcome to TV Ate My Wardrobe’s “Best of 2014″ costuming series and rather than doing a straightforward countdown we’re going to do a variety of posts that look at which costumes and shows have made a huge impact this year. From items that we want in our own wardrobe to pieces that got everyone talking, we want to look at this year’s TV through the prism of costume. 2014 was the year I finally started watching Game of Thrones and it was the one gaping hole in my “shows that are huge that everyone talks about” list. However, what I want to focus on today is a pair of shows from the “cancelled too soon” brigade that have long been on my “why haven’t I watched these yet?” list (I have a lot of lists). Pushing Daisies and The Hour are tonally different with one inhabiting a heightened reality with the other being very much grounded in this world; Pushing Daises is heavily influenced in its visuals by the period The Hour is set in with a playful twist on 1950s style. The costume design of both is something I was instantly drawn to and vibrant color is a strong feature on Pushing Daisies with both sets and wardrobe dripping in Technicolor. This isn’t to say The Hour is a dreary palette of greys and beige as Marnie’s sweet pastel frocks and Bel’s block color suits dismiss this notion. When you come to a show late and one that has been recommended countless times there is a worry it won’t live up to expectation and you just won’t get it. Fear not as the only reaction I had to these two shows was devastation there isn’t more than two seasons of each and joy to finally see what everyone has been raving about. There is an unearned feeling of sadness that comes from watching something which had an early cancellation as I don’t necessarily believe I have the same right to be angry that there is no more when I didn’t watch it when it aired. Instead I will be both mad at myself for not getting to it when it was originally on and still lament this premature end. It is easy to romanticize the 1950s thanks to the styling; the costuming of The Hour and the influence of this period on Pushing Daisies has me clamoring for pretty frocks with nipped in waists. And hats. So many great lady hats in both shows. * There is also a lot of bad things about this post-war period and The Hour covers various panics from this period including the spy and nuclear war variety. Racism and sexism are prevalent throughout and homophobia extends to being criminally prosecuted if you are caught in a homosexual act. So while I love 50s fashion and costume designer Suzanne Cave did an excellent job of recreating this period, it is good to be reminded of the horror beyond the hooped skirts. Drawing comparisons between the two aside from finally watching them both this year and a shared 50s style isn’t as hard as you may think when it comes to discussing FEELINGS. Yep I’m talking about shipping and the obstacles for the main couples at play. Pushing Daisies takes the central pairing and gets them together in the first episode; this is no will they/won’t they. Instead they face an entirely different challenge as they can say exactly how they feel, but can’t physically touch each other without a barrier between them. Ah the perils of bringing people back to life with one touch and killing them all over again with another one. 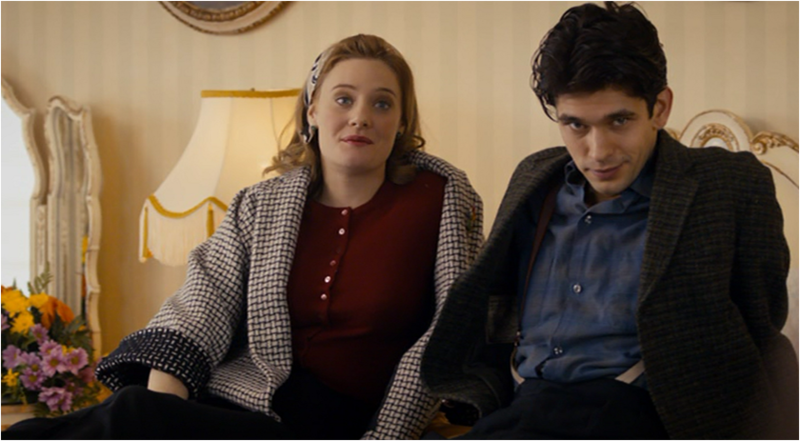 The Hour is a more traditional unrequited love deal as Freddie’s love for Bel is apparent from episode 1 and she takes a little longer to get there. Unlike The Hour which is actually set in the 1950s, Pushing Daisies takes its costuming cues from a variety of periods with Chuck’s attire leaning towards a hippie vibe at points. Basically anything from the mid portion of the twentieth century and it takes on the visual richness you would expect from the mind of Bryan Fuller. Sometimes once is enough but another thing these shows share is they are now part of my not so long list of DVDs I like to stick on at bedtime and fall asleep to. The sleep part sounds like a disservice, however it reveals how much comfort they bring and I’m always glad to add something to my rotation because otherwise my Rear Window DVD is going to get burnt out. Now to figure out what to add to the 2015 rewind project. All suggestions welcome. Otherwise I will start my much thought over Gossip Girl rewatch and I’m not sure I am ready for that. The summer TV schedule isn’t as light as it once was and so it can be harder to squeeze in catch up projects of recent and not so long ago shows you missed. Last year I blasted through Scandal and took a slightly longer route with The Comeback, pairing a current show dominating discussion with one that is often featured on “Canceled Too Soon” lists (The Comeback is making its own comeback much to my delight in November). In a somewhat unplanned decision this has been repeated this year, first with Game of Thrones taking the Scandal position followed by the 2011 BBC 2 series The Hour. 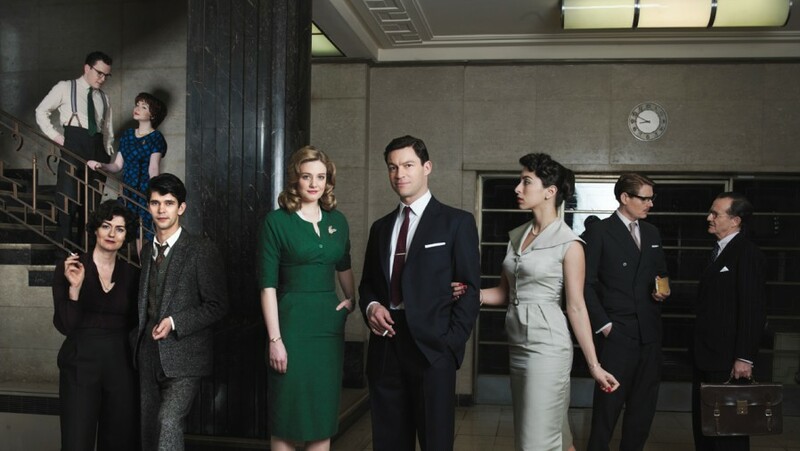 Why I didn’t watch The Hour when it first aired is a bit of a mystery as it has all the elements that I find appealing – great cast, a writer I admire, a 1950s setting, fantastic looking costumes and a spy plot – and it’s even more curious as to why it has taken me so long to get to it. Yesterday I contemplated a Gossip Girl rewatch (I blame Preserve and this incredible Leighton Meester op-ed) and instead decided it was time to start The Hour as the boxset had been sitting on my desk untouched for a week. The length of the show (a total of 12 episodes) as it was pointed out to me on Twitter made the choice a no-brainer. And I’m so glad I did as less than 24 hours later I have finished season 1; it’s love. Drooling over the costume design and giving out Diane Lockhart broach accessorizing points has occurred throughout these first six episodes and there will be a separate post dedicated to costuming. A more general approach to the first season is how I will be tackling The Hour today and there are some slight spoilers throughout. It’s 1956 and the world is feeling pretty unstable; the Cold War rages on and there is political unrest across the globe. 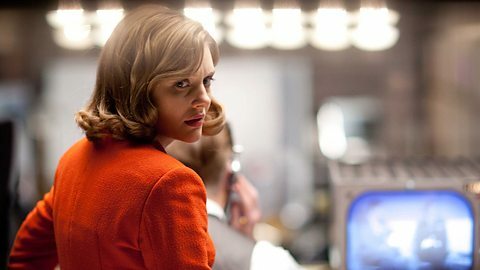 These larger events are told through a new BBC news program which distills the events of the week into “The Hour.” The Suez Crisis frames much of the first season and just like a current HBO show it uses real events to infuse tension into the story as we see how the characters respond to the big story. Unlike The Newsroom it doesn’t feel like it is preaching or attempting to teach in a condescending manner. This might have something to do with the time frame as there are only going to be a certain number of viewers who remember the Suez Crisis whereas you can all but guarantee that the BP oil spill or 9/11 are relatively fresh memories for The Newsroom’s audience. One other notable difference is The Hour is created and written by Abi Morgan, whereas Aaron Sorkin is at the helm of The Newsroom; a repeated criticism of Sorkin’s recent project is the treatment of the female characters and while The Hour is set in a time where sexism was far more inherent, it comes across as the more enlightened of the two. Bel still faces comments and assumptions based on her gender, but she’s allowed to make mistakes without looking like an idiot. No they don’t have email in The Hour, but I bet they wouldn’t pull the same stunt as MacKenzie’s “send all” error. Comparison time over. Getting accurate information when reporting the news is still not an easy task in 2014, even harder in 1956 without the technology that can hinder as much as help in the present day. 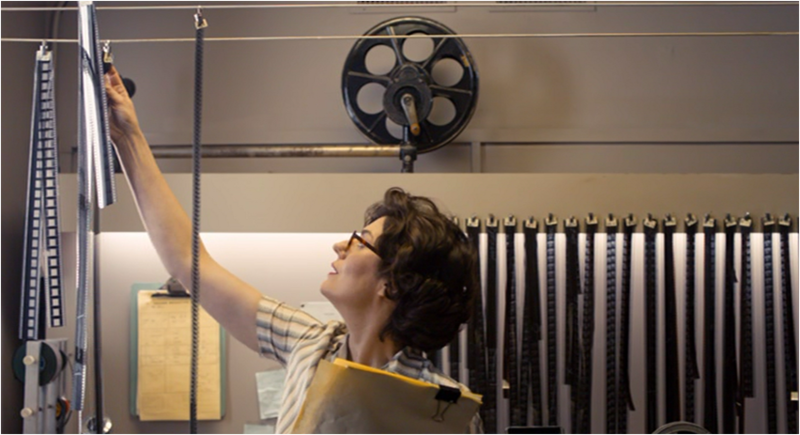 The phone is one of the most reliable forms they have in The Hour and seeing reels of film getting cut together evokes nostalgic feelings for a form that was in no doubt way more of faff. And yet there is something glorious about seeing the individual frames. Idealism, cynicism and pragmatism create a constant push/pull between the three leads; while the establishment they work for is dedicated to an impartial position there is still a rigid power system in place that threatens to censor and assert control. Freddie’s tenacity and drive to find the truth has the potential to destroy everything they have all worked towards and there are other sinister operatives at play with a mole in the BBC (*sidenote* thanks to a saturation of moles on 24 I often roll my eyes at this plot point, I did think it was well executed here and fits the cloak and dagger nature of the time period). What drives these characters varies and ambition is far more important to Dominic West’s Hector than the pursuit of truth, for Bel (the fantastic Romola Garai) she wants to keep the job she has worked so hard for and yet she is willing to risk it for the story. 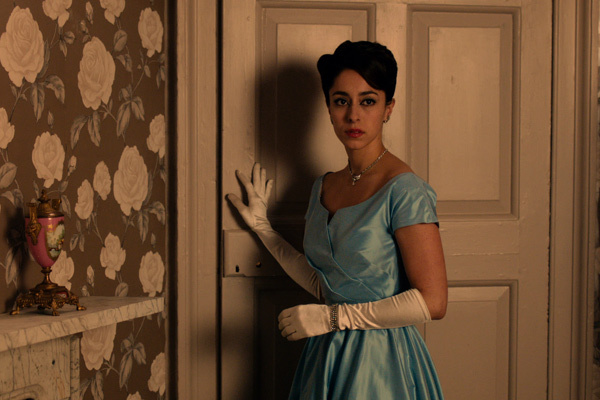 Conflict comes in all forms including romantic entanglements such as the affair between the married Hector – Oona Chaplin plays his high society wife Marnie who knows of his affairs and uses the great tool of denial with a broad fake smile to maintain the facade – and Bel. Affairs can be dangerous and this one between producer and presenter has all the trappings of broken hearts and the potential for ruining careers. Enter Freddie as Bel’s best friend, he stands in the shadows pining for the woman he calls Moneypenny (the first James Bond novel Casino Royale was published in 1953 and a copy sits on Freddie’s desk) and he not so subtly infers his love for her on many occasion quoting E.E. Cummings and stirring up all my shipper feelings. There’s an intimacy between these two that can be summed up by unspoken cigarette sharing and how comfortable they are in each other’s company. Tumblr gif sets I will be coming for you later. Balancing a variety of stories including wars raging on several continents with tensions on the homefront and tying them together through acts of espionage makes the big story personal; Freddie justified his reckless actions for this reason and his passion for the truth is both dangerous and honorable. There is of course the potential for a character like Freddie to become a “troubled genius who is always right” trope and yet he is grounded thanks to such a strong performance from Ben Whishaw, his relationship/chemistry with Bel and because the writing doesn’t quite go ‘there’ with Freddie. There is some sense of self-awareness even as he nears the edge of the precarious path he is on. How long it will stay like this is unclear at this point and the next six episodes are sitting on my desk just crying out to be watched.